What's The Rarest American Production Car? American cars are normally known for massive production numbers. Ransom Eli Olds brought the assembly line to car production, and Henry Ford put pretty much everybody into a Model T. Which is why I love when an American manufacturer goes against the grain, and makes cars for the select few. 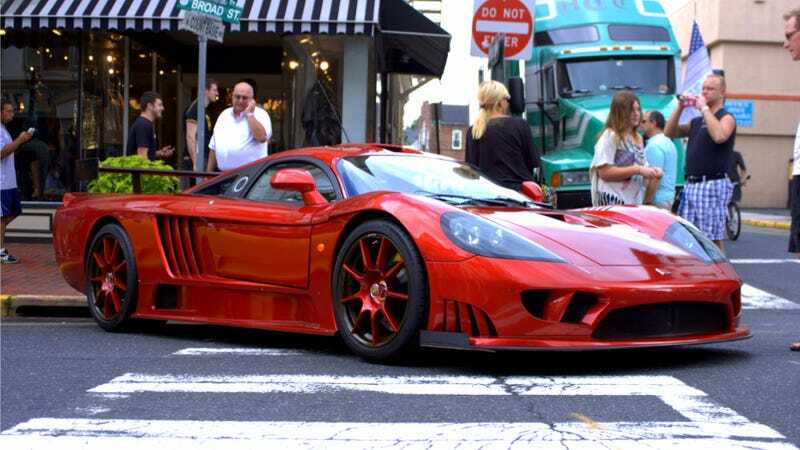 The Saleen S7 is one of those cars. In my opinion it is one of the most beautiful machines ever built, all sleek lines and cutting gills. The form followed the function, though – at 160 miles per hour, it produced its own weight in downforce. Oh, and the thing was stupid fast in general before you even got to the Twin Turbo variant, which punched out more than 700 horses. It's a damn shame, then, that less than 100 were built. Official production numbers aren't easy to come by, but they seemed to be hovering near the mid-70s, with race cars included. What's something we haven't seen before, and might never see on the road?